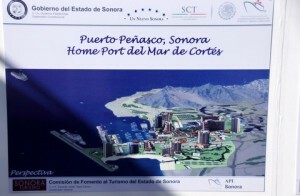 PART I: Economic Impact of Puerto Peñasco Home Port Plus Updates! 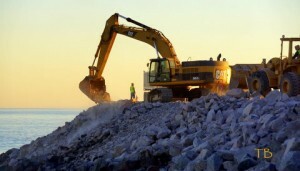 Our long awaited cruise port construction is underway, which means the Proverbial Clock has started ticking on the time line for completing infrastructure required to handle the economic impact of what will amount to a burst, although a continuous one, a predictable one, of tourism from this uniquely distinct cruise segment. To fully understand the special preparation needed to service this extraordinary market, which makes up over half of all tourism segments in the world, we must first understand the cruise industry that will bring this segment together in our destination especially because we are the home port. As a home port, we have the opportunity to impress and service the same group of tourists twice during their visit, with the possibility of serving them again during a land vacation later on. This article is the first in a series forthcoming in monthly slices designed to increase your understanding of not only the cruise industry but other aspects in the mindset of cruisers and how they got here. All data analyzed in preparation for these articles were researched and culled from reviewing studies, surveys, facts and figures as well as other forms of published material from more than 40 different web sites deemed to be the most reliable and up-to-date industry sources. In the course of these articles there should be new and relevant information for even the most experienced cruisers among the residents, regular visitors and property owners of Rocky Point; indeed maybe provide a spark of enlightenment as to how you, if so inclined, might become involved in one or more of the incredible business and service opportunities that will present themselves with our fresh world status as not just a new homeport but one that offers the cruising world an itinerary of truly all new ports of call in one of the most diverse seas on our planet. 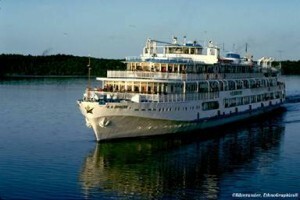 In addition, you will learn how and why our success as a home port is fairly guaranteed from the very first cruise departure. You will also learn when it’s time to ‘fasten your seat belts’ for the wild ride upward in the future of our little [soon to be not so little] slice of paradise by the sea. Depending on the extent of your desire to become involved in the history of our destination, the time to fasten your seat belt just might be right now! 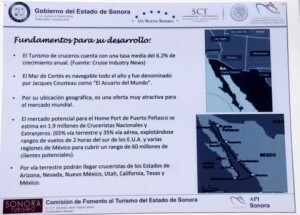 To illustrate the direct and indirect economic impact of cruise tourism on the residents, businesses and municipality in a home port destination, let us begin with a statistical picture of the cruise industry worldwide, continent wide and state wide, thus giving us a better understanding of where Puerto Peñasco will fit into this complex segment of tourism that is poised to fulfill our destiny as a world class destination resort. The cruise line industry has grown continually since its officially recognized inception that began with a three month cruise around the Mediterranean in 1891 carrying 241passengers. The industry continued to constantly grow and contribute to world economies until 1970, the year the industry carried 500,000 cruisers and reached the so difficult to determine “Critical Mass”, that point when growth surges exponentially with a life of its own, and the cruise industry has never looked back since. In fact, since 1970 the cruise passenger market has grown a phenomenal 2,100 percent, from the 500,000 passengers in 1970 to an estimated 21.3 million in 2013. 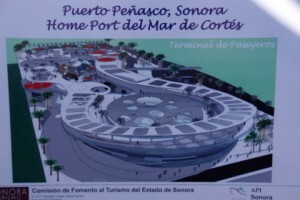 The flood of exponential growth stabilized in the ‘80’s and ‘90’s to a more manageable consistency; even through the world economic downturn of the last several years, growth has continued averaging 7.4% annually..
Another statistic that bodes well for the future of cruise tourism for Puerto Peñasco is that of those 21.3 million cruisers, 55 to 60% were from the U.S. This remarkable statistic is even more extraordinary when you consider that of the 2,000 ports of embarkation around the world, only 30 are located in the U.S. In other words, Americans continue to drive worldwide tourism growth, and will continue to do so as long as the cruise lines keep introducing new cruise ships to the market. And we can count on new ships arriving for service as long as occupancy continues to average 104% like it has for the last decade. So far the cruise lines have kept up with demand by investing billions of dollars in new ships annually, having delivered 167 new ships from 2000 through February 2013. These include sizes varying in capacity from riverboats that carry just 32 passengers up to the mega-vessels that carry 5,400 passengers and serve as a floating destination with hundreds of unbelievable amenities at a cost of more than a billion dollars each! (worthy of detailing in future blogs). On order for delivery between 2014 and 2016 are 22 more ships representing investments of more than $14 billion. Revenue for the US economy in 2012 was $37.85 billion. 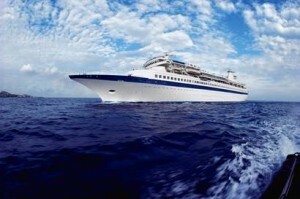 Average size of cruising party is 2.1 passengers. 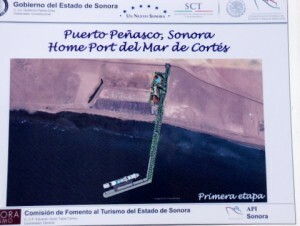 Following is an update on the visit and inspection of the Home Port progress by Governor Guillermo Padrés on Wednesday January 29th 2014 as well as images showing the progress just since this story was posted earlier this month. 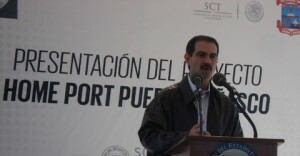 Governor Padrés spoke to a crowd of 300-400 interested and involved citizens, municipal officials and dozens of press representatives. Frankly, the excitement was hard to suppress as officials representing the President of Mexico gave highly charged expressions of support and commitment by the country’s leader. Review of the continued financial commitment by the state and federal governments. 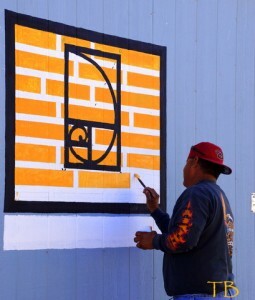 190 million pesos were invested last year; and 300 million pesos will be invested this year. 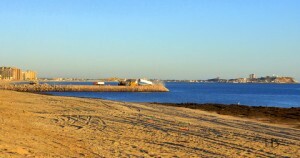 The port dock is being built to accommodate three cruise ships to be prepared for the anticipated growth. 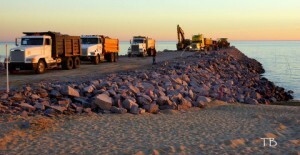 It will take over 600,000 cubic meters to extend the dock out one kilometer from the shore. 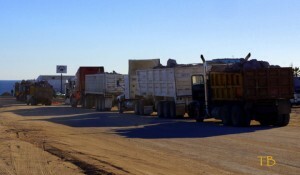 Governor animatedly referred to the Home Port as the seed that will detonate phenomenal growth in this region that will spread through the state and the country. 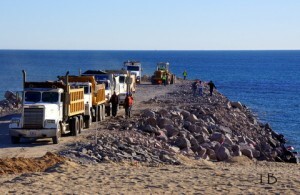 It will make Rocky Point a privileged place with plenty of jobs and a positive future. The crowd responded very favorably to those words. 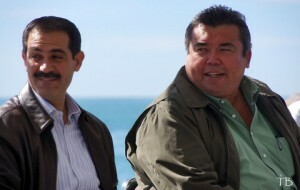 Governor also emphasized that “The best is yet to come”, and “We proved that dreams do come true” as he referred to the economic downfall of 2006-2009 and how the community and the state chose to walk fearlessly in support of the Home Port moved boldly forward in spite of drastic economic conditions. 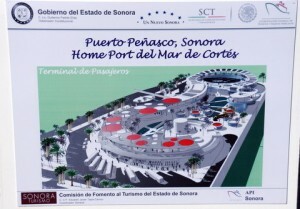 Now that it is all coming together, the governor thanked the citizens of Puerto Peñasco for working together in support of this monumental project that will create steady and stable tourism visitorship that will benefit each and every person in the municipality and the region. Here are some images that will hopefully depict the atmosphere of the day, the crowds, the construction and architectural renderings of the terminal area. Keep in mind that they are called renderings because changes are likely before actual construction begins. 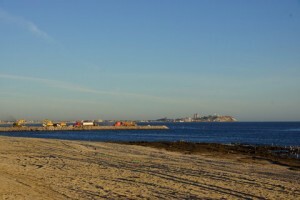 Meantime, enjoy a glimpse into the future of our little slice of paradise by the sea! Final Reminder: Roger Clyne’s Two Day RCPM January Jam Is Just Two Days Away—And Here’s the Latest Info!